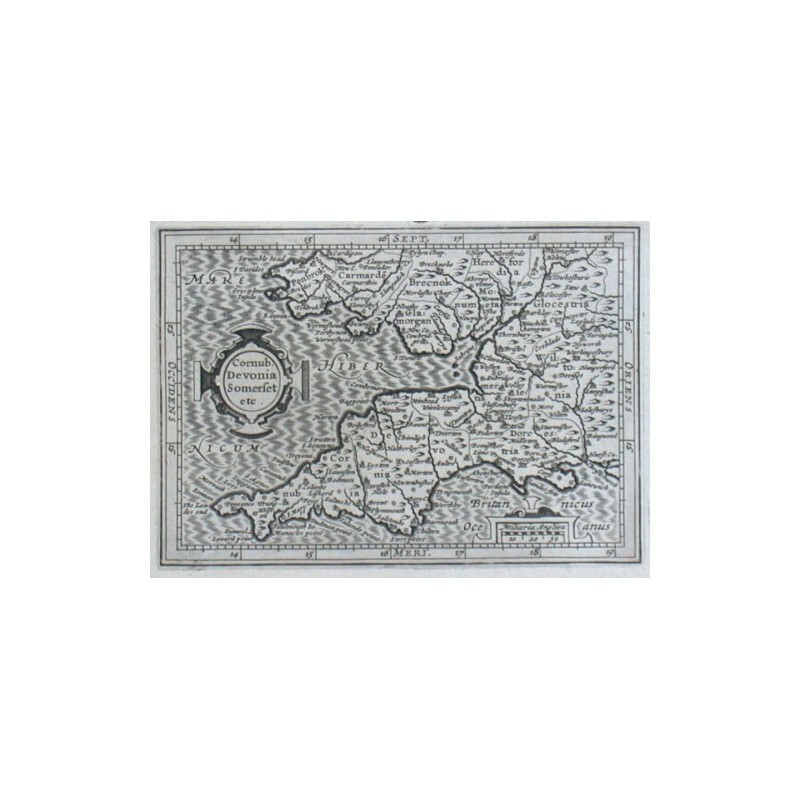 > Antique Maps and Views>Europe>Great Britain and Ireland>Southwestern England>Cornub. Devonia Somerset etc. "Cornub. 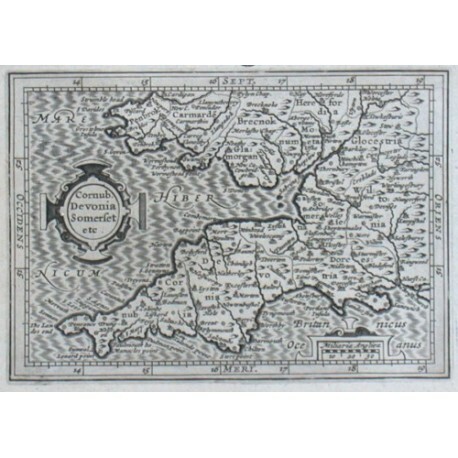 Devonia Somerset etc.". Copper-engraving by P. Bertius published by J. Hondius, 1616-18. With small ornamental cartouche and "Miliaria Anglica". 9,5:13,5 cm (3 3/4 x 5 1/4 inch. ).